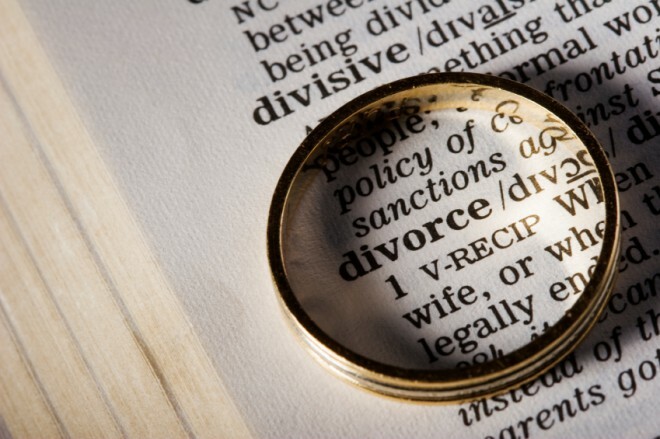 Divorce is devastating to those involved. Whether it becomes ugly or is “amiable,” few entered marriage expecting this result. Sayings like, “It is better to have tried at love and failed, than to never have loved at all,” do not help. It comes into your mind every day. It never goes away. Some feel like they are labeled, “Unclean, Divorcee!” They feel like outcasts to family, friends, neighbors, fellow employees and especially churches. Your relationship may have ended but your life has not! Let us do the math. Figure the average American lives to be 78 years old. How old are you? Subtract it from 78. How many more years of life do you have? What are you going to do with them? Live in the past? Be bitter? Quit living? Make life miserable for everyone around you? Or – decide today that the rest of your days will be quality days? God knows the hurt of divorce. This was a spiritual relationship, but God still knows how it feels to have someone so close to you leave. He knows your hurt and feels your pain. Why don’t you get to know this God? He visited the earth one time in a physical body. His name is Jesus Christ the Lord. He was born in a barn and was laid in a manger. He grew up in the most difficult of circumstances. He was a hard-working carpenter. He had a public ministry for three years. He endured every temptation imaginable and never sinned. He suffered physically and was deprived of food, drink and sleep. He was hurt by people he loved. He was “despised and rejected of men; a man of sorrows, and acquainted with grief: and we hid as it were our faces from him; …” (Isaiah 53:3). Yes, Jesus knows what it was like to be hurt and rejected by people he loved. He was betrayed by one of his best friends for thirty pieces of silver. All of his other friends forsook him and fled. He was arrested, endured a mock trial, was beaten, spit on, pummeled, scourged, mocked, laughed at and then spiked to a cross. He bled from his head, hands, feet and side. He died for crimes he did not commit. He died for our sins. His first words while dying were, “Father, forgive them for they know not what they do.” Later that day he bowed his head, gave up the ghost and died. He suffered the greatest injustice ever! Worse than divorce! Why? That he might bring us to God! Our sins have separated us from a Holy, righteous God and condemned us to death and separation from God. But Jesus took our sins upon himself and died in our place to save us from the eternal consequences of sin, death and hell. If you will believe on Him to save you and receive Him as your Saviour, He will give you eternal life and take up residence in your being. He will never leave you or divorce you and you will never be alone. He will heal your broken heart and tell you he understands what rejection feels like. Why not come to God right now through Jesus Christ the Lord? Do the words of this prayer represent how you feel toward God right now? If they represent the desire of your soul this moment, why not go back and pray this prayer from your heart to God? Did you do it? Why not thank the Lord for saving you from your sin? That is the main reason Jesus came. “For the Son of man is come to seek and to save that which was lost.” (Luke 19:10). Besides saving our souls, there are secondary reasons why Christ came to earth. Jesus once said that His Father “sent me to heal the brokenhearted…” (Luke 4:18). This is where the Lord can help the divorced. He can heal your broken heart if you will really get to know Him. Remember – the Father went through a divorce with Israel. He knows how you feel. He loves divorced people. You are not a second-class citizen to Him. You are his dear child. Get to know him. Get a copy of his word, the Bible. Get the King James Version. Begin to read in the New Testament book of John. Then read through the whole New Testament. Find a good Bible believing, preaching, and practicing church in your area. Drive 20 or 30 minutes if you have to. Make sure they love and welcome divorced people, and care for them. Love the Lord because He first loved you. Tell him everything that is on your heart. He wants to hear from you. 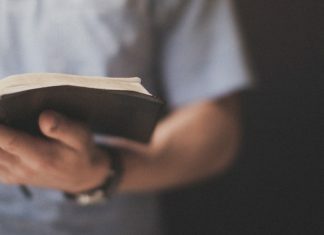 He will speak back to you through the pages of the Bible, at church, and by the Holy Spirit who lives in you if you have asked Christ to be your Saviour. Pretty soon you will be serving the Lord and others, and you will go from being a broken person to being a blessing to others. You will be a needed, valuable person in the Lord’s work. God will use you! We all live by standards of some kind, formulated after some criteria discerned or not.